Carry your laptop in the most stylish way with this aSleeve laptop case from KREAFUNK. Made from PU leather and canvas, this laptop case is equipped with extensive practical features. With various compartments for storing your smartphone, power bank and smaller office supplies, this laptop case also includes a shoulder strap and is suitable for laptops up to 13” in size. On the backside of the sleeve, this case also features a unique extra hand strap, which allows you to carry it under your arm and have a steady grip around it. 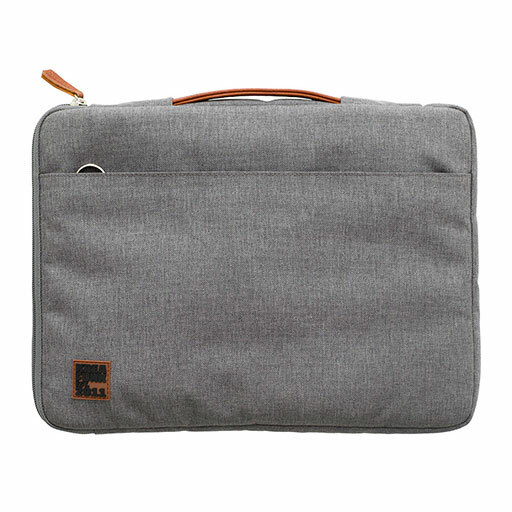 A stylish addition for your commute, this laptop case also makes a great gift idea for tech lovers.